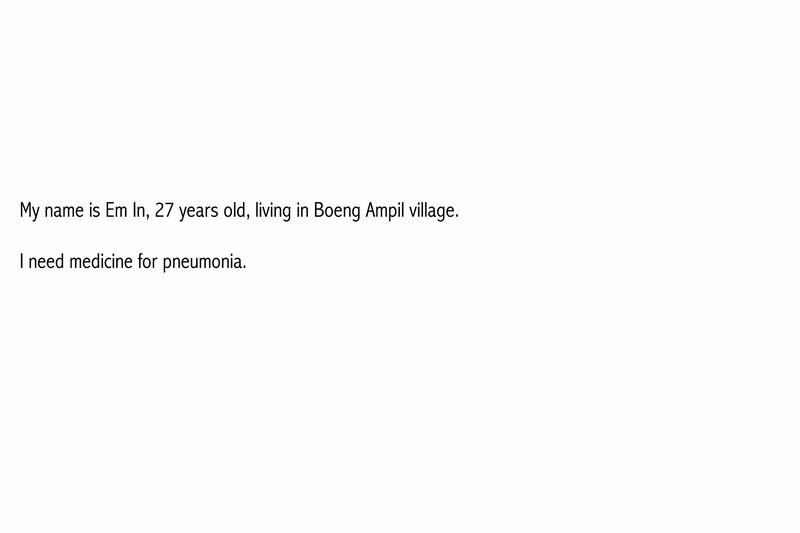 " My name is Em In, 27 years old, living in Boeng Ampil village. 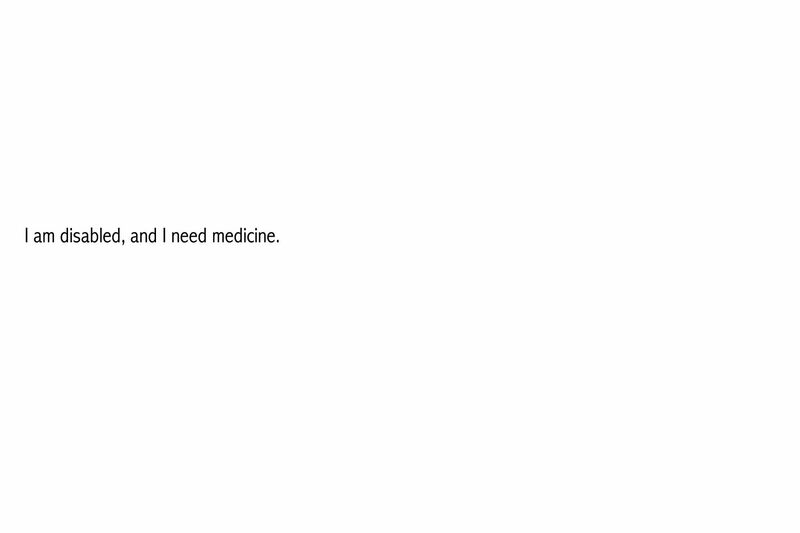 I need medicine for pneumonia." 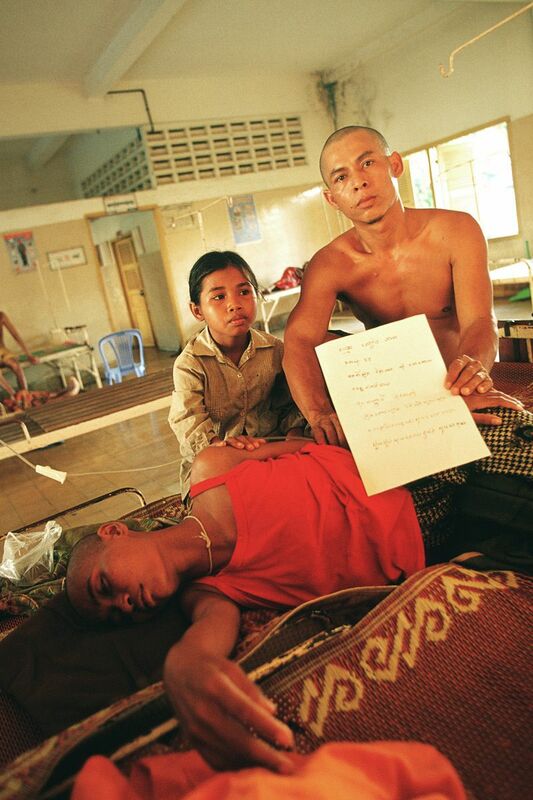 I took this picture when Sao and his family the first day they arrived in hospital.Sao was in very critical condition, his wife just sat next to him and said,“I don’t know what I can do. I don’t want to see my husband dying. 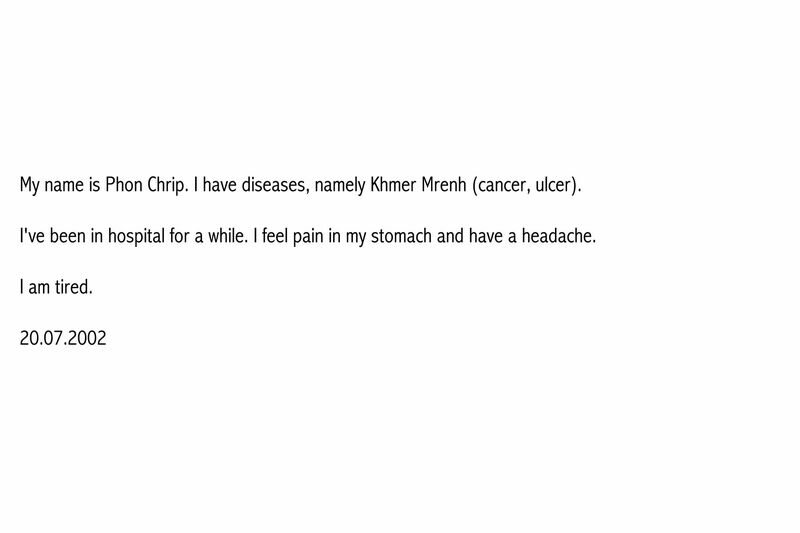 Please help him”. 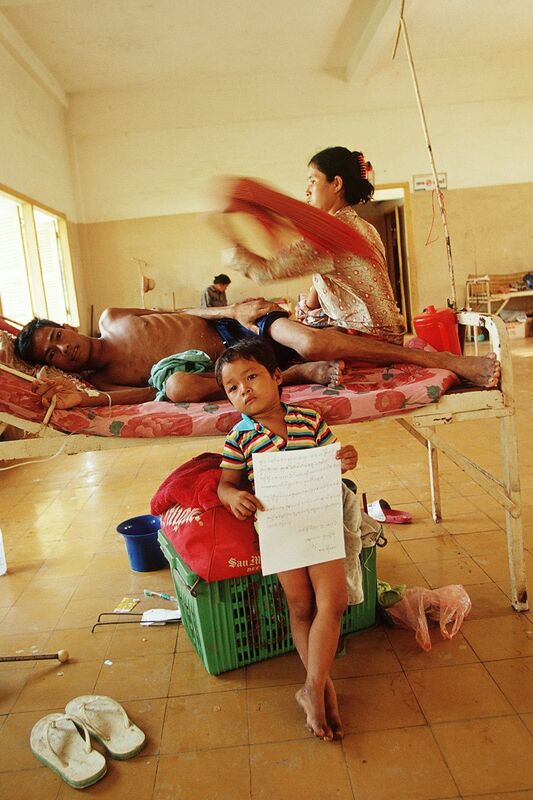 I met Seri in an AIDS ward in Battambang hospital. She was lying on the bare floor without any mat, with her elderly mother squatting beside her on the ground to take care of her. 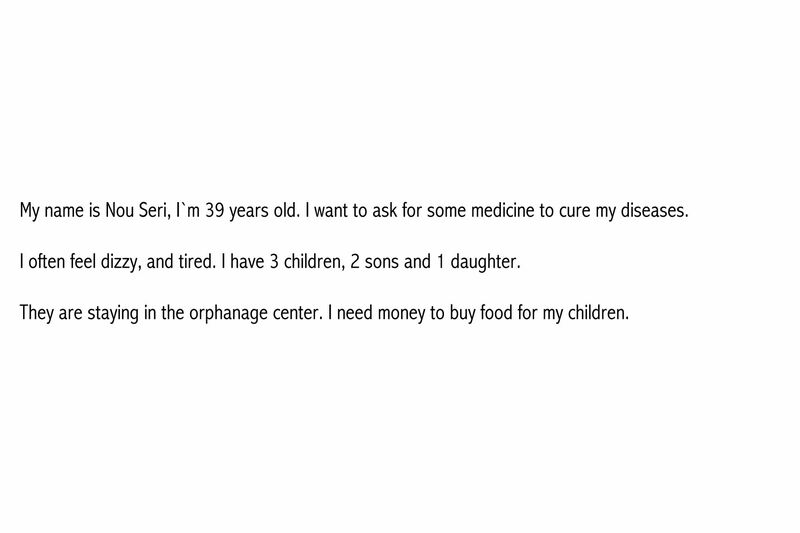 Seri told me that she had already lost her husband to AIDS. This is Seri’s mother, Yoan. 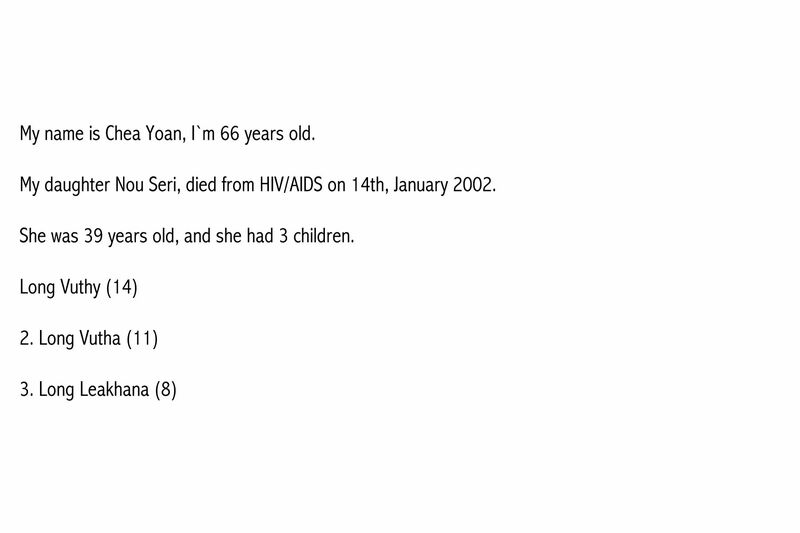 She is 66 years old and now lives alone.After her daughter Seri passed away, Yoan was taking care of Seri’s three children. 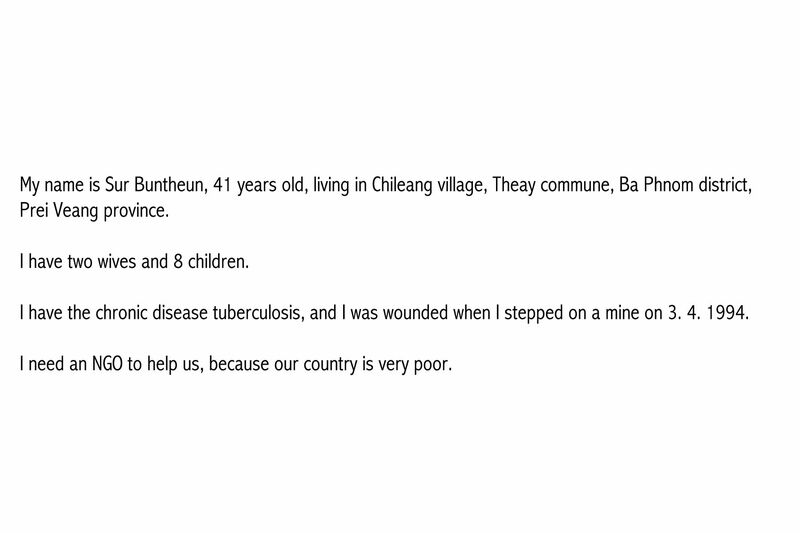 But she was too old and had no income to support them for their food and schooling. 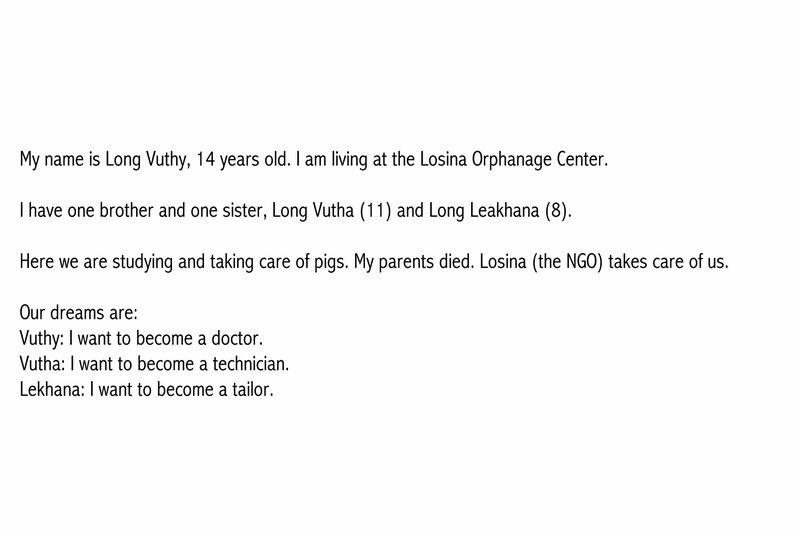 Seri’s three children are now living in an orphanage.The eldest brother, Vuthy is 14 and is taking care of his 11-year old brother Vutha, and his 8-year old sister, Lekhana.“My parents died from a sickness. I wanted to help them." Savin divorced her husband 2 years ago. She took her two small daughters and moved to her mother’s house, then she found a simple job in the market to earn a basic living. Everything seemed to be all right. But a few months later, she felt sick. “Just give me some pain killer, or give me anything you have in your pocket, anything. 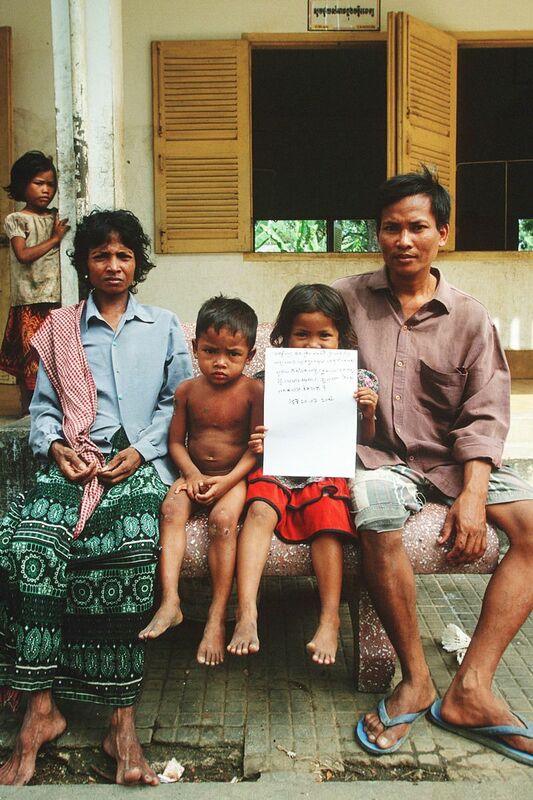 You must help me before I die” Pheap's husband and daughter quietly sat next to her. 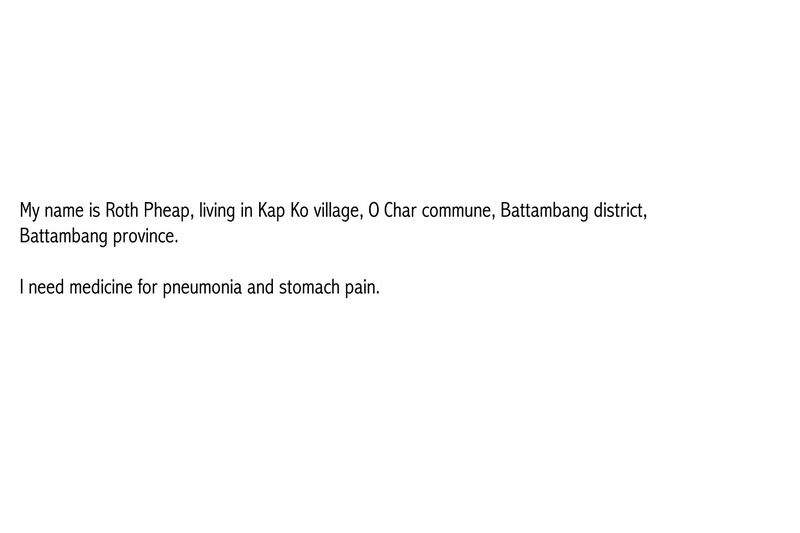 Just before she lost consciousness, Pheap said to me “You know we are very poor. " 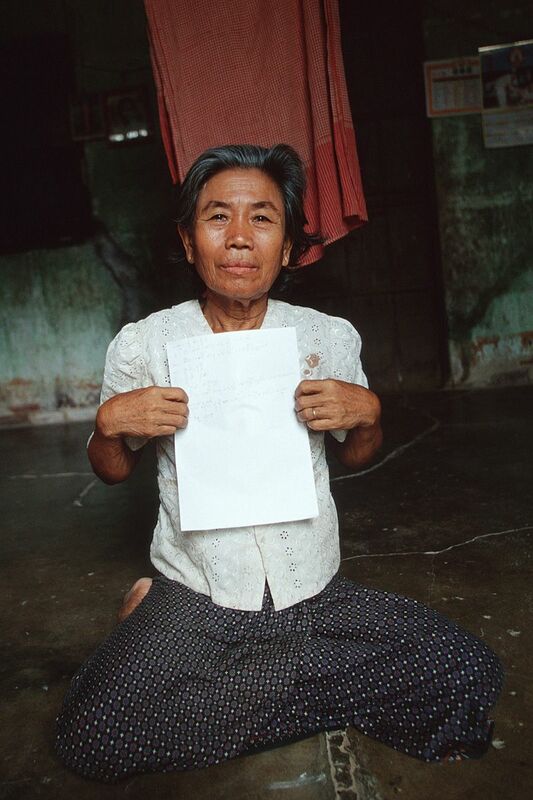 Pheap's husband died of AIDS about three years ago.“My husband died very painfully. But he was always kept his will to live, he never gave up. But finally he died. 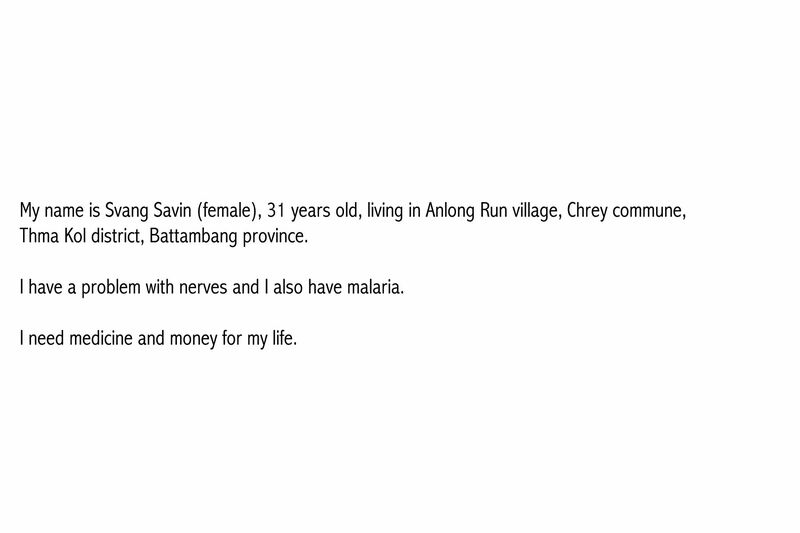 Lai has no relatives or loved ones to take care of her. She can not even sit up on the bed. She asked me take a picture of her even before I asked her.“So you come here to help me. You take a picture of me, and ask your people to help me. Chrip never thought she has HIV+, because her husband is still fine. 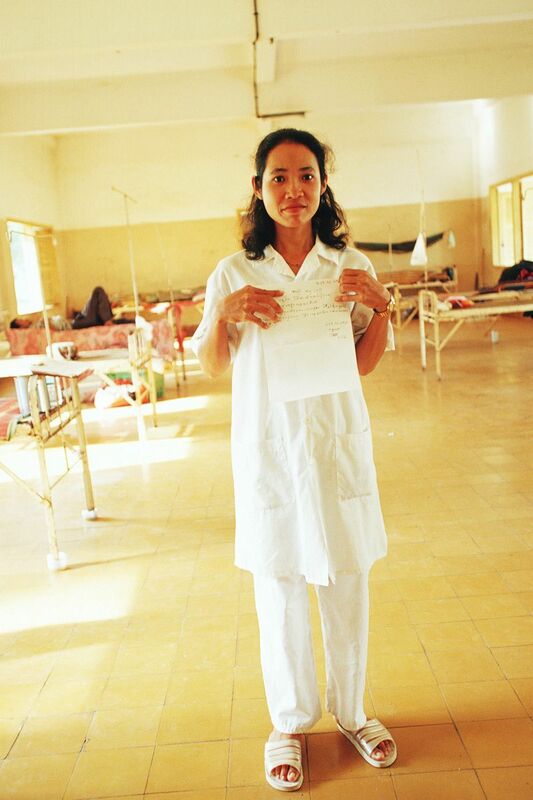 She didn’t know anything about HIV/AIDS.In early 2001, she felt very tired and started losing weight. After she had a blood test, she found out she is HIV positive. 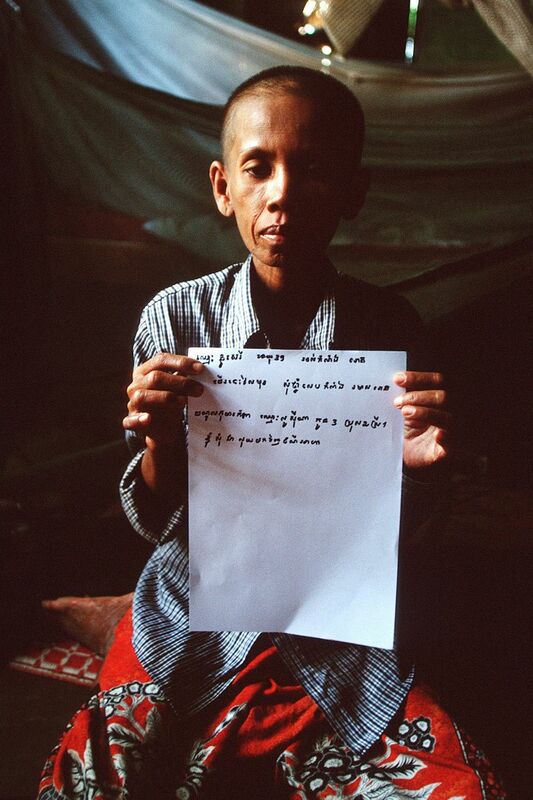 When I first met Buntheun in an AIDS ward, he spoke to me in Thai. “I lived in Bangkok for over 5 years. 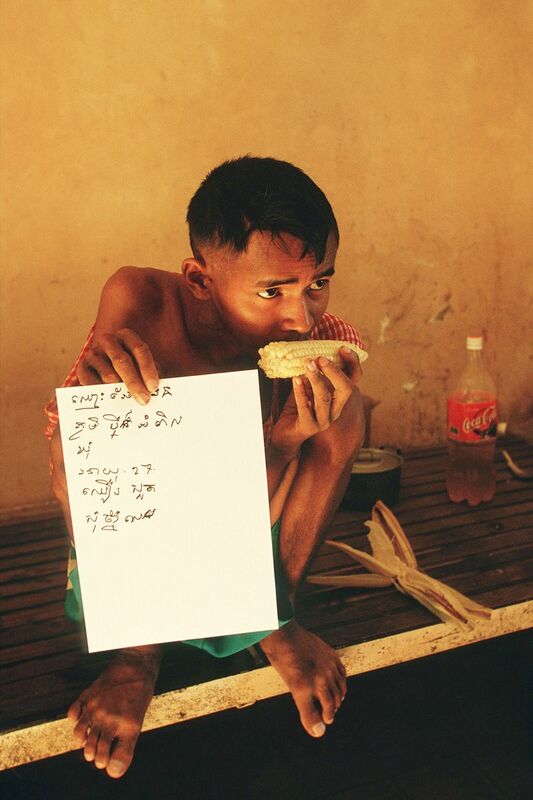 I worked as a beggar in Bangkok. 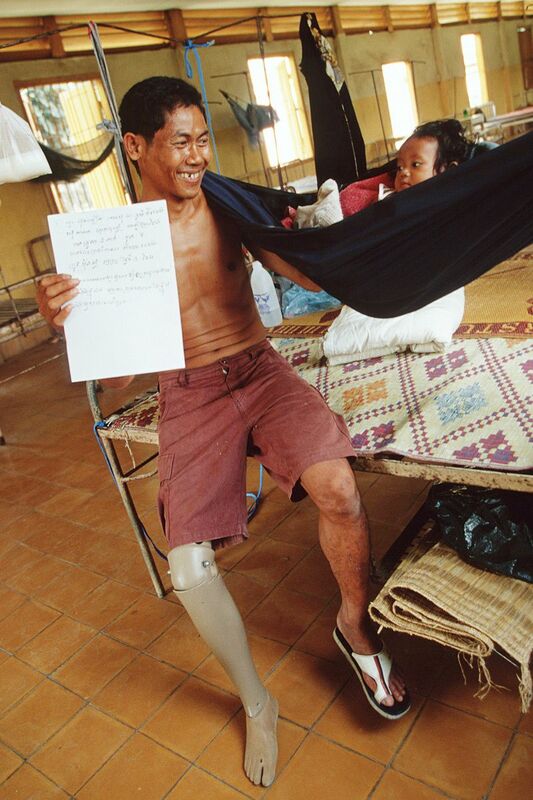 Have you ever seen a disabled man crawling on the street, begging money from tourists? " 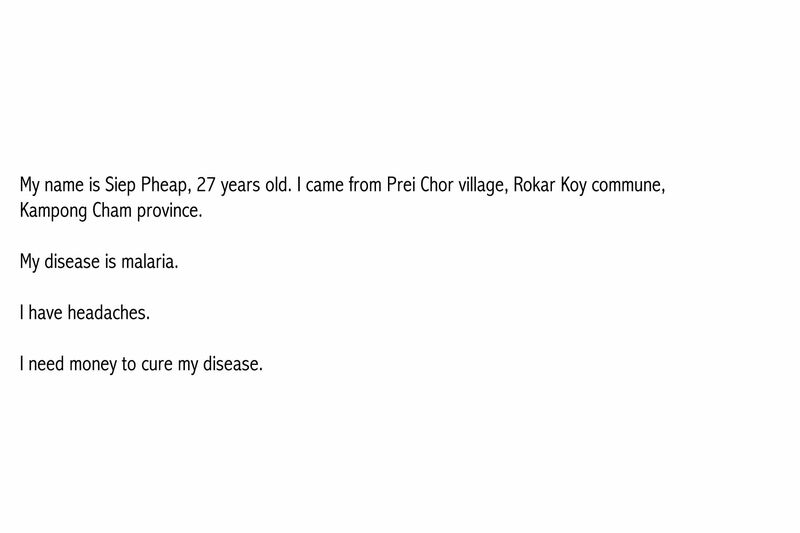 I first met Kanha in an AIDS ward in 2001. She was taking care of her mother who was dying. Kanha always stayed close to her mother. 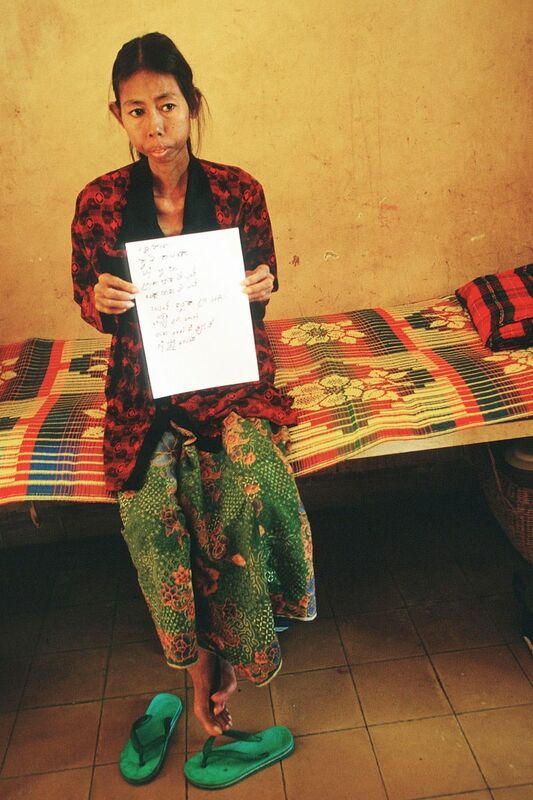 She wanted to cure her mother’s illness, because she already lost her father to AIDS a few years ago. 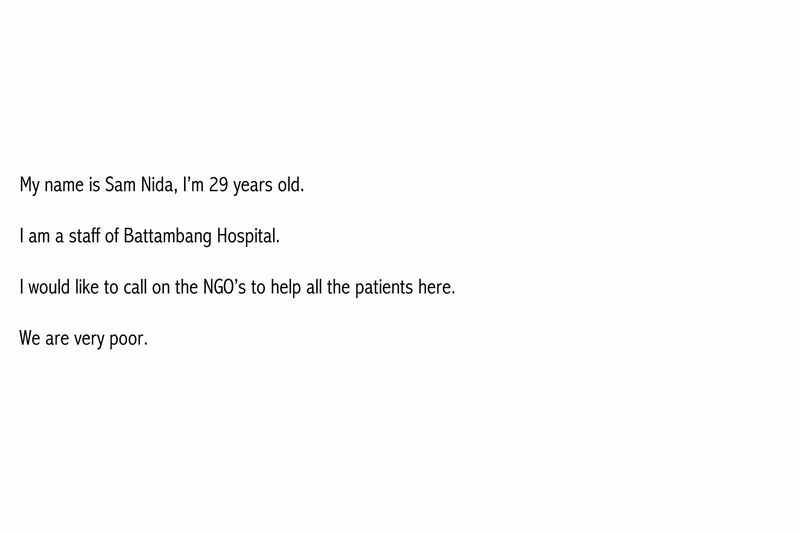 Nida is a nurse in Battambang Provincial Hospital.I first met her in 2002. She was taking care of patients from rural areas. 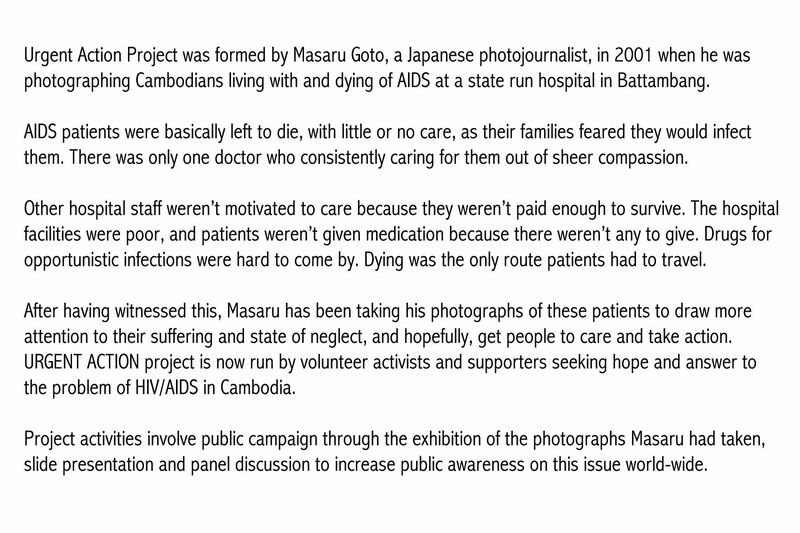 None of the patients had money for medicine or food. I saw one male patient sleeping in a corner. 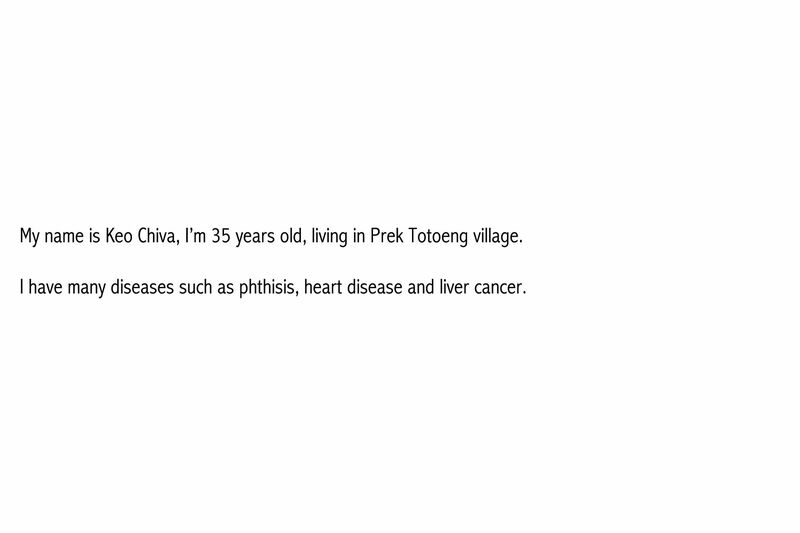 Chiva had many diseases. His wife and small son were staying with him. She poured out her feelings of helplessness to me:‘Do you think I can afford to buy medicine for my husband? I work in the market and only earn 2000 riel a day (less than 0.50 USD). 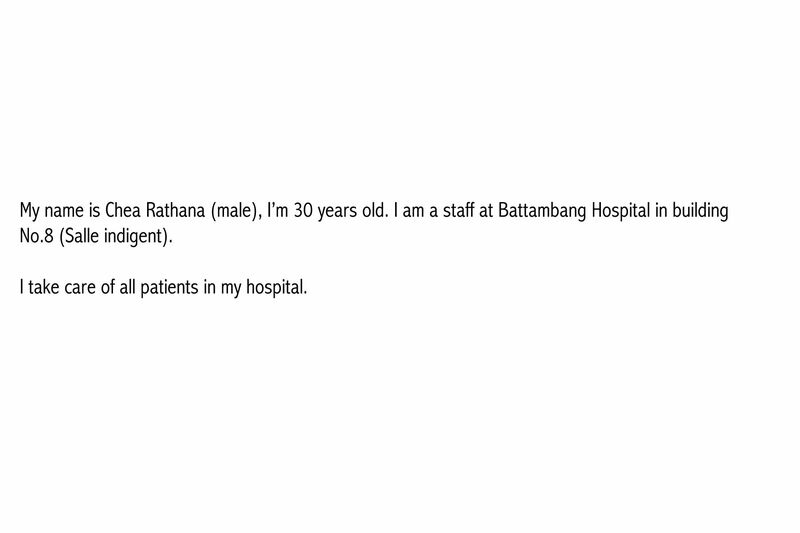 Rathana is an old friend of mine. 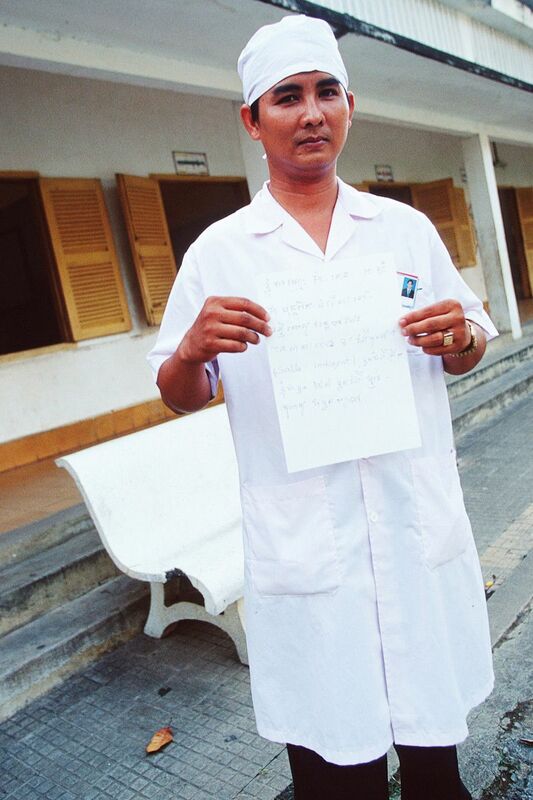 He is a nurse taking care of patients in Building No.8, called the SALLE INDIGENT, where poor patients from rural area are housed.“I sometimes think, if only we had good medical facilities and supplies we could help more"